Earlier this year, Toly's latest manufacturing plant was officially opened - Toly Korea Manufacturing (TKM), in Bucheon City, Seoul. The ribbon and cake cutting ceremony was attended by Andy Gatesy - Chairman & CEO of the Toly Group, Mike Yeo - President of Toly Korea, James Lim - President of Toly Airless Packaging Korea and Hitoshi Miyamoto - President of Miyamoto Corporation Japan. The first TKM plant was opened in April 2015, but was quickly outgrown, necessitating the investment in a plant double the size. TKM has a built up space of 7,850 sqm and today has 120 employees, with 23 injection moulding machines. 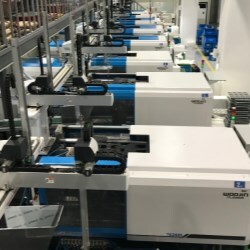 The plant is fully integrated with automated assembly, hot foil and silk screen printing, 4 inside spray coating lines and a brand new state of the art metallising and lacquering line. TKM have also invested in an AOKI machine to produce heavy walled PET bottles by stretch injection blow moulding. Toly's history in Korea goes back nearly 15 years and today represents over one third of the Group's revenue. 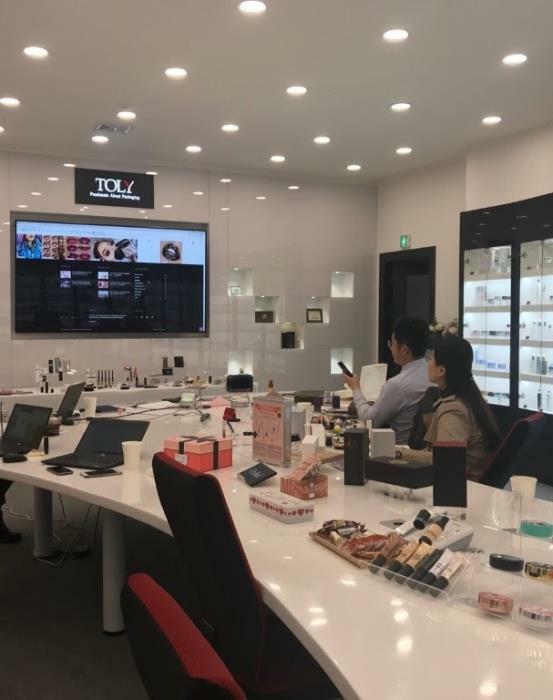 In addition to TKM, Toly has a joint venture to produce airless packaging in TAP Korea and a modern trading office to manage the supply chain. In December 2017, Toly Korea was recognised by the Korean Government for its strong growth and creativity, receiving a medal of honour from the President for its continued success. Over the past 25 years, Toly has evolved from an engineering company, building moulds and converting plastics, to a packaging supplier with fully integrated decoration capabilities. And more recently, to a solutions provider to the beauty industry. Innovation today is part of Toly's DNA and the activities in Korea continue to grow driven by their spirit for innovation. "We are all proud of what we have created in Korea and we will continue to invest and evolve. 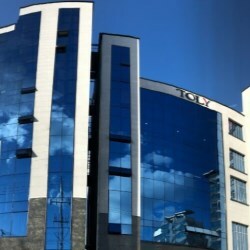 Toly is one family across the world and together we will continue to grow and prosper for many years to come."